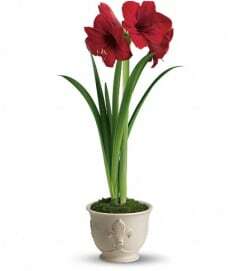 This lovely centerpiece will melt hearts. 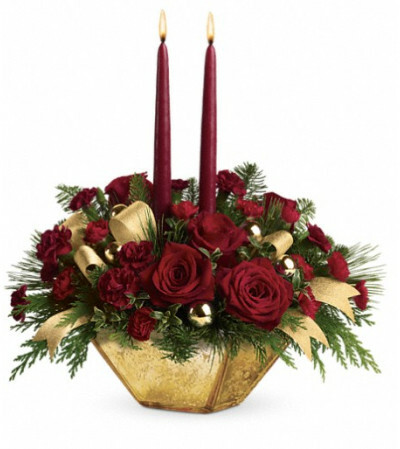 Roses and carnations are elegantly arranged in our handsome Harvest Gold bowl. 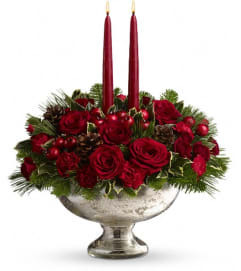 Red roses and miniature carnations are accented with tips of flat cedar, noble fir, white pine and assorted holiday greens. Delivered in a gold mercury glass bowl.